VINCAL Productions, LLC. 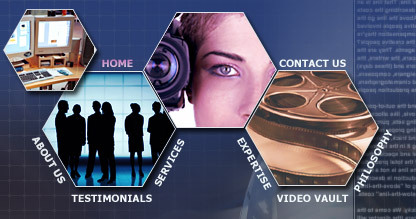 is a state of the art, full-service professional video production company specializing in the needs of corporate clients and agencies both large and small. We provide the most innovative, creative and skillful directors, script writers and production talent to help you meet your specific needs. Whether it is a television network or local commercial spot, an infomercial or corporate video, VINCAL Productions will help you to reach your marketing objectives. Our multi-talented staff will help conceptualize your idea. Through creative writing and design, together we will bring your images to life and establish a product that is visually stimulating, content driven, and media rich. VINCAL Productions is a limited liability company based in Pittsburgh, Pennsylvania. Contact us today.